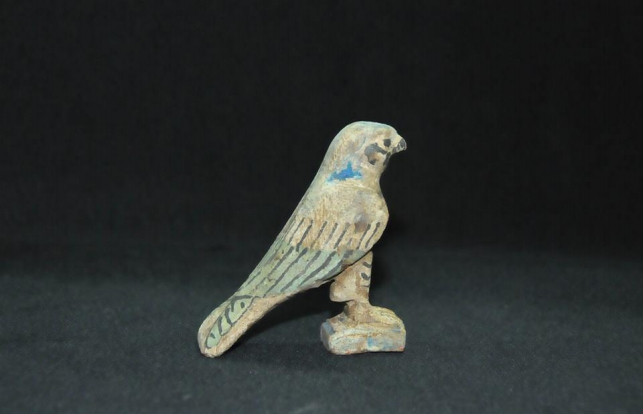 Find from the excavated tombs. 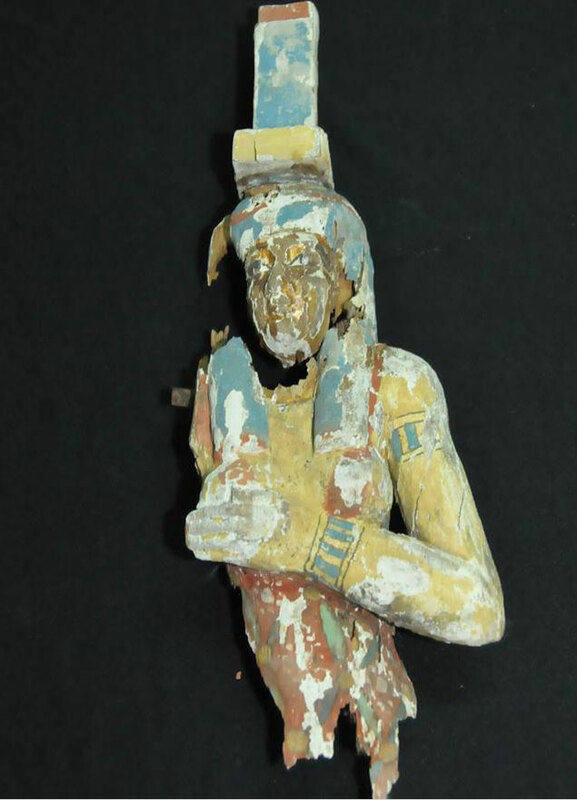 Credit: Ministry of Antiquities. Six Late Period tombs (26th Dynasty) came to light at the Aga Khan Mausoleum perimeter, west of Aswan, during excavations by the Egyptian Mission in Aswan and Nubia. According to Egypt’s Antiquities Minister, Dr. Mamdouh Eldamaty, a group of stone and wooden sarcophagi containing the mummies of their owners as well as fayence statues representing the four sons of Horus, a group of amulets and small wooden statues of Horus the Falcon were also discovered. 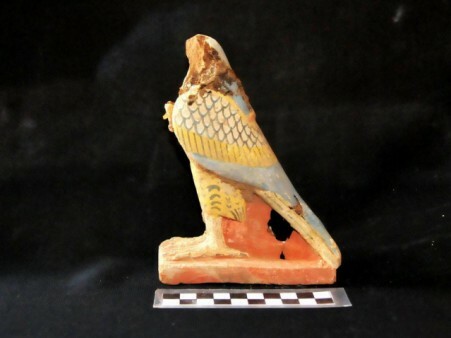 The Minister said this is the first Late Period discovery at the Ancient Cemetery in Aswan. 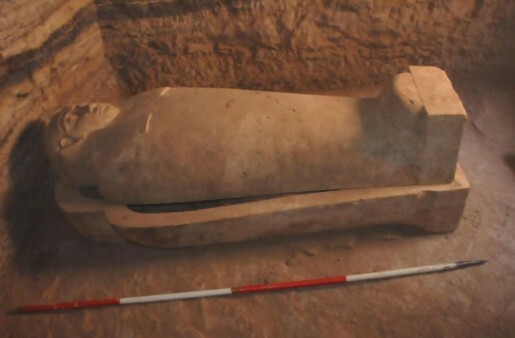 Previously discovered tombs at this area date back to the Old, Middle and New Kingdoms. Stairs of 30 steps each lead to the main entrances of most of the discovered tombs. 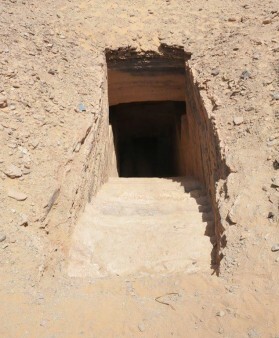 The tombs are divided into three or four rooms with no inscriptions. Archaeologists believe that this discovery will help them recognize the architectural style of that period in the area, which has been subjected to illegal digging, and some burials were unearthed by looters.